Support this election campaign. As an ex election agent of many campaigns I know that nothing lifts spirits more than people popping into the committee rooms to offer practical support – leafletting, canvassers, leaflet folders, envelope stuffers, poster pasters, even just making everyone a cup of tea! So pop in and offer your support. An election campaign always needs hands and brains. Hand and brain? Blimey, that sounds a bit like the old Labour Party Clause 4. On Saturday, Communities Against The Cuts launched it’s election bid, standing candidates in Kings Norton and Bournville wards on an anti-cuts, pro-nhs stance. 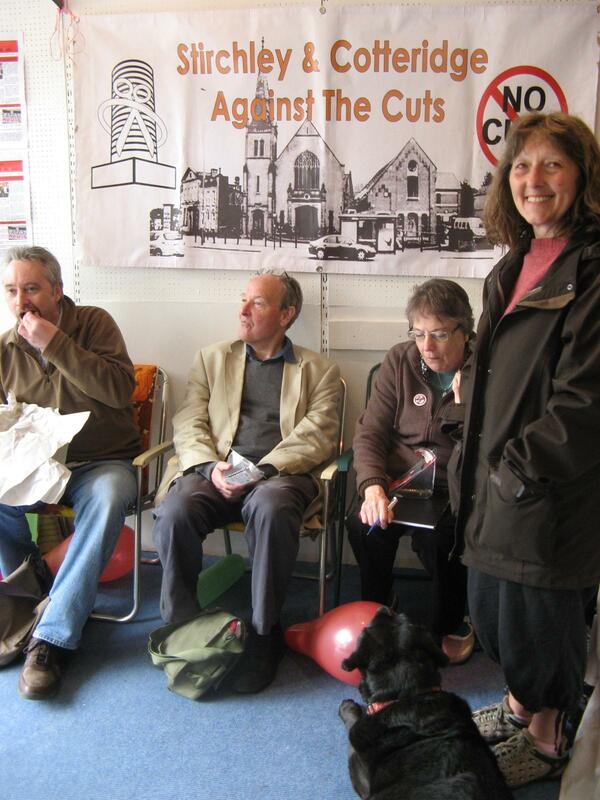 The group has formed out of Stirchley and Cotteridge against the Cuts, following their multiple successes in the area over the past year to prevent the closure of vital services. Reversing a decision to close Charles House and other respite care homes for disabled children and their families in Kings Norton. The re-opening of Merrishaw Nursery in West Heath. 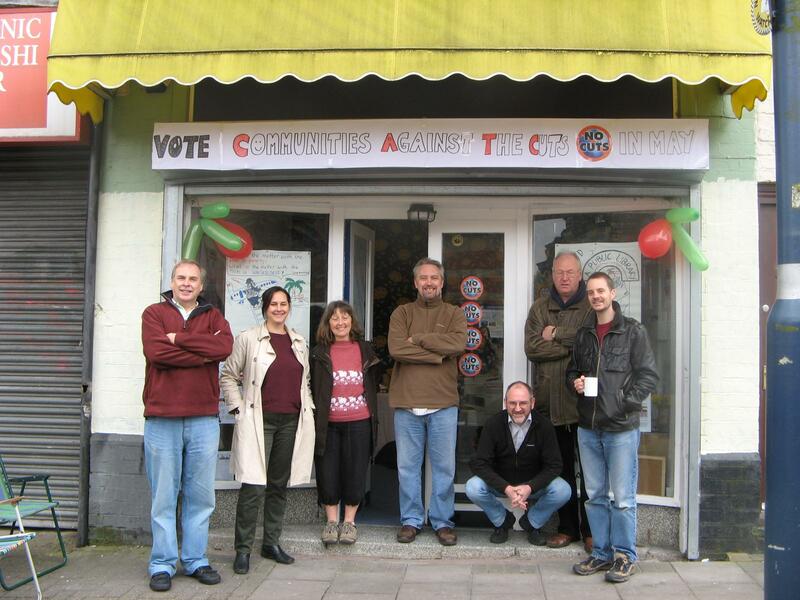 Communities Against The Cuts are a local party that offer an alternative for those who feel that the ConDem government and opposition parties do not represent them.